Static mixers made by Fluitec are modern, economical and efficient - and proven energy savers. Innovative new and optimised solutions developed by Fluitec engineers regularly set new benchmarks in static mixing technology. Laminar mixing processes are based on the repeated separation of the flow into layers, followed by redistribution and recombination parallel to the flow direction. The number of layers, and hence the homogeneity, increases with each additional mixing element. The design and length of the mixer vary according to the mixing task. The challenge confronting manufacturers is to offer an efficient, energy saving mixer for every mixing application. Fluitec CSE-X®, the newest generation of laminar mixers, has openings in the wall area. This innovative feature reduces the pressure drop for even the most complex mixing tasks by up to 50% compared to conventional mixer geometries – without compromising the mixing quality. The Fluitec portfolio includes numerous optimised special-purpose mixers for extreme mixing tasks or specific residence time distribution requirements. Static mixers can significantly reduce the time required for mixing processes if the flow in the tube is turbulent. Special mixing elements are used here to form the vortex. Mixing and homogenisation take place in the downstream mixer tube. Two mixer designs have proved particularly successful in the last few years: the Aquamix slide-in mixer for installation in existing tubes and the Vortix housing-type mixer, which can be supplied in several different designs and materials (metal or plastic). Insoluble media can be easily dispersed or contacted with the help of static mixers. Static mixers are ideal for washing, reaction and mass transfer processes. 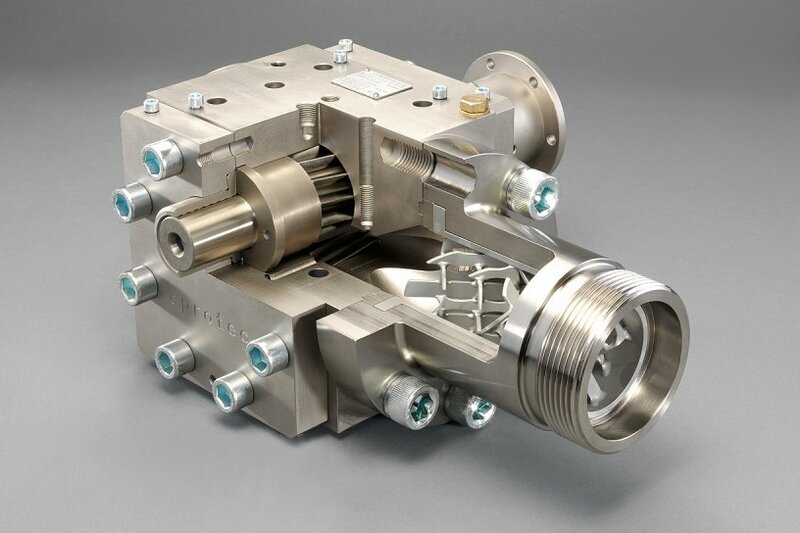 They can be designed and built for both laminar and turbulent flows such that the droplet size, mass transfer surfaces and extraction and emulsion processes can be fine-tuned to the requirements of the process. The use of static mixers in the laminar flow regime makes great demands on the additive dosing technique. The fluid must be guaranteed to exit in a controlled way without pulsation, taking account of the specific properties of the mixer, and clogging must be reliably prevented.